Blue Screen of Death (BSoD) is a famous but annoying symbol of windows operating system. It indicates that there are some fatal errors such that the system can't work safely. General applications don't have the ability to trigger the blue screen, so there should be something wrong with either hardware or drivers, if windows itself is not corrupted. In whatever case, you need to take actions because the blue screen will appear from time to time if the root cause is not found and properly handled. So how to investigate the root cause of a blue screen failure? By default, windows will collect a small portion of memory related to the failure, and put the dumped file in the folder C:\Windows\Minidump. Since it is a binary file, human have to rely on some tools to read that. The official solution is WinDbg. It is very heavy and not easy to use. However, there is a tiny utility called BlueScreenView that can solve exactly this specific problem. 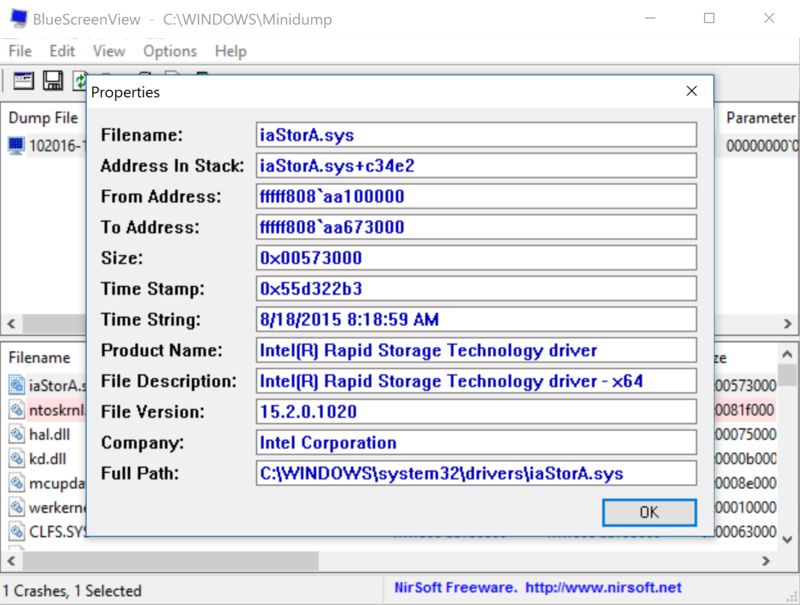 Let's load a real mini dump file and use BlueScreenView to analyze that. The interface is straight forward: you select the dump file at the upper region, and the stack will be displayed in the lower region. Notice that some lines in the lower region are highlighted, which means that they are responsible for the blue screen failure. 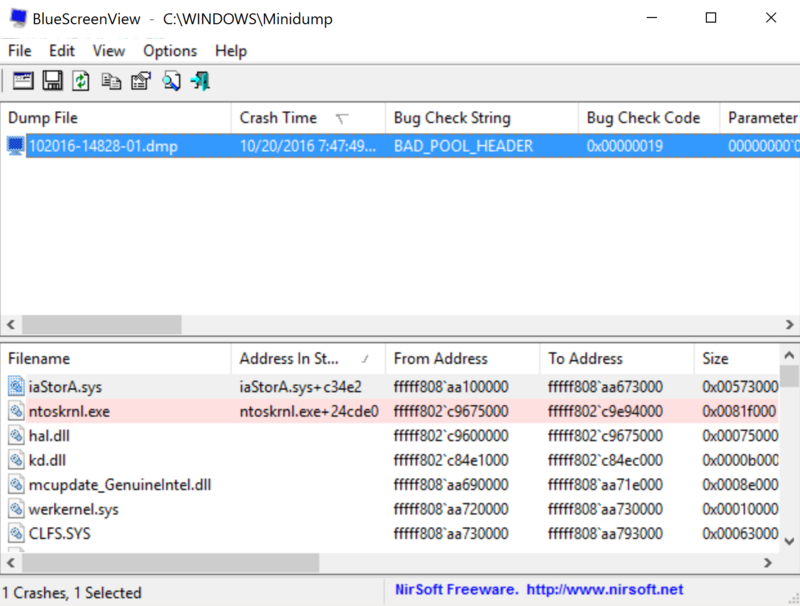 Double click the first highlighted line, BlueScreenView will show the detailed information about the file that triggers the failure. As you can see, the root cause of this blue screen is a driver provided by Intel. Go to their website and upgrade to the latest version will solve this issue.